Around 6 years of experience in operation‬ and maintenance gas fired combine cycle power plant. A wealth of hands-on expertise in Operation, Maintenance and Project Management. 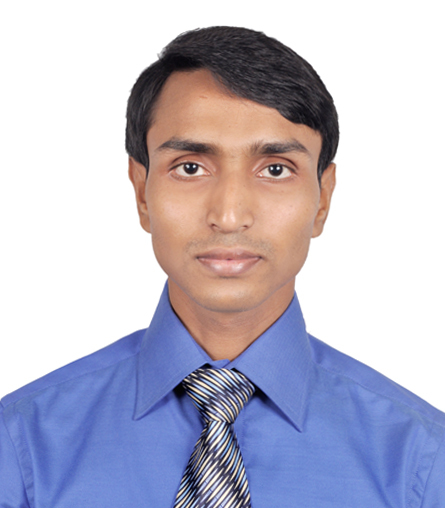 Being involved in several projects successfully completed various challenging situations and managed my colleagues. M.Sc. Thesis on “Heat Transfer of a Solid with Protective Fabric under Hot Air Jet Impingement”. B.Sc. Thesis on “Design and Construction of Piston for Four Stroke Single Cylinder S.I. Engine by Die-casting”. 1. Continuous and efficient operation, monitoring of the power plant process of 4 x 35 MW GE Gas Turbine and 1 x 70 MW Siemens Steam Turbine unit. 2. Take part in major overhauling and maintenance work of GE Gas Turbine and Siemens Steam Turbine unit. 3. Analyze thermodynamic, mechanical, electrical and chemical parameters and take necessary actions accordingly. 4. Implement engineering solutions to increase equipment availability, reduce operation losses and achieve acceptable production rates. Worked in operation and maintenance department of gas fired 8 MW (4 x 2MW Caterpillar gas engine) captive power plant involving:  Efficient and uninterrupted operation, monitoring and control of the plant.  Implement engineering solutions to increase equipment availability, reduce operation losses and achieve acceptable production rates.  Regular inspection and data logging of the plant system.  Troubleshoot equipment/process problems and recommend repairs.  Problem identification, issuing fault notification and recommend repairs.  Analyze thermodynamic, mechanical, electrical and chemical parameters and take necessary actions accordingly.